The first thing you need to know is that a Poor Clare is a nun - meaning that she lives in one monastery (usually) for her whole life. She takes solemn vows that can only be dispensed by Rome. BUT the second thing you have to know - is that a Poor Clare Nun is not a Benedictine, Dominican, Visitation or Carmelite nun. She is a Poor Clare nun.There is a world of difference between these other beautiful orders and Poor Clares. 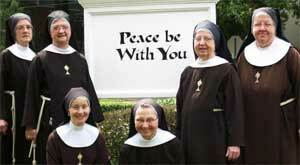 NO, not all nuns are alike. What this site hopes to show you is the gifts that Poor Clares nuns bring to the Church - gifts of prayer, simplicity, community and joy. Each Poor Clare community is autonomous. 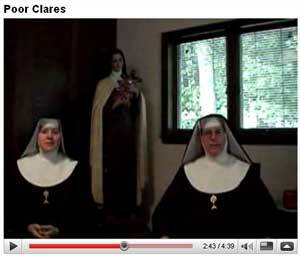 Not all Poor Clares dress alike, work alike or keep the same daily schedule. If you go from monastery to monastery you will feel the spirit of Joy and Communal gifting of each other - you will experience the warm bond of Joy, Simplicity and happiness of being a Franciscan. BUT you will always notice a difference and know you are in a different monastery. Poor Clares Monasteries are individual and unique as is each sister in them. So please... in your journey of exploring the joyful world of Poor Clares - there is no "template" for what a Poor Clare should look like, sound like and be like. Because there are no two alike.. and that is how the Holy Spirit works. 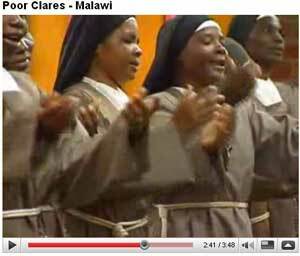 The Poor Clare Sisters number over 20,000 sisters throughout the world in 16 federations and in over 70 countries. Most monasteries have from four to thirteen members. 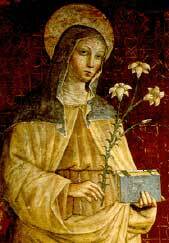 Some have larger communities but the Poor Clare charism is one of family and St. Clare guided us that small communites were much better to keep this family spirit than larger ones. So when a community gets to a certain number we usually start new ones rather than just keep getting bigger. Just one of the differences you will see as you walk with us. For the joyous season of Christmas the Poor Clare Sisters in Saginaw, Michigan have created elegantly calligraphic Christmas cards that express the wonder and awe of the season. Each card is an original design with a message of spiritual depth. We accept payment by mail, credit card or PayPal. For the joyous season of Christmas the Poor Clare Sisters in Saginaw, Michigan have created four original calligraphic Christmas cards that express the wonder and awe of the season. Each card is an original design with a message of spiritual depth. I’m trying to turn over a new leaf, and be much more active on this website. We will see how it goes. Life gets in the way of my plans.. or maybe its just me.. who knows. 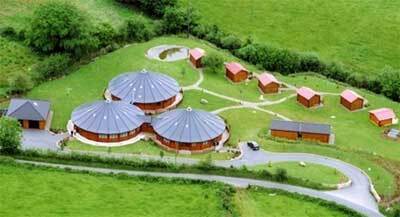 At any rate I wanted to share with you this beautiful, new web site of the Sisters In Dundalk, Ireland.